The Fairy Hairbraid! Side swept haorbraid made by Fashionettista. 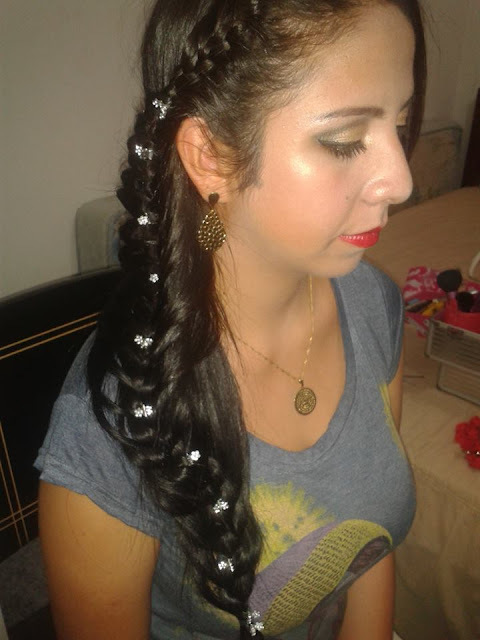 So this is one of the things that makes me busy every weekend, Making my clients even prettier with my hairbraid creations and make up transformation. Im so loving my sideline, eventhough im not that professional enough, I'll make sure that they are satisfied and happy with the outcome. More Hairbraids every weekend for you guys! And thank you very much to my loyal reader's. Love you guys!